There’s nothing better than that soft summer walk down to the beach. Sun on your neck, book in hand and sand between toes, you’re at the peak of the year and the pinnacle of relaxation. Later, you might sidle into the sea, prop yourself up at the beach bar or work on your tan. It’s bliss. "Sun on your neck, book in hand and sand between toes, you’re at the pinnacle of relaxation..."
But, as with everything in life, there is always something looming ready to burst this blissful bubble. It’s not sunburn — you slapped on a suitable SPF before you left the villa, obviously. And it’s not dehydration in the heat — you’ve got a steady stream of Mojitos, Cuba Libres and Pina Coladas to quench that potential problem. 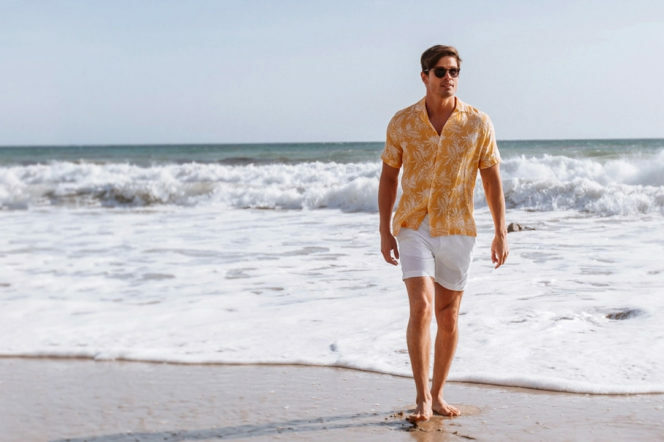 Your swim shorts are among the most versatile garment in your summer wardrobe. They’ll accompany you to the beach, to lunch, to hazy, lazy sunset drinks. You’ll rely on them more than you know — for both style and comfort. So, accordingly, it is of paramount importance that you buy the right pair. We’d recommend something with a little interest. 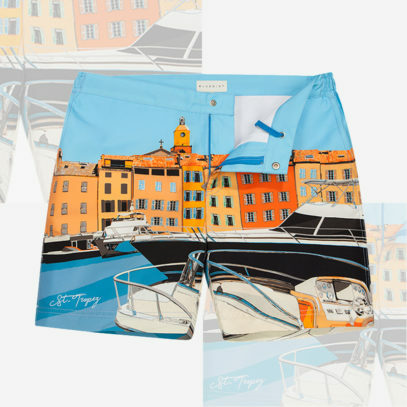 These are swim shorts, after all, and this is your summer escape — so express yourself. 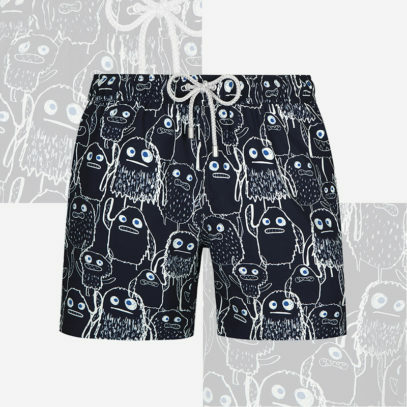 Bluemint don’t skimp on their swim short style. 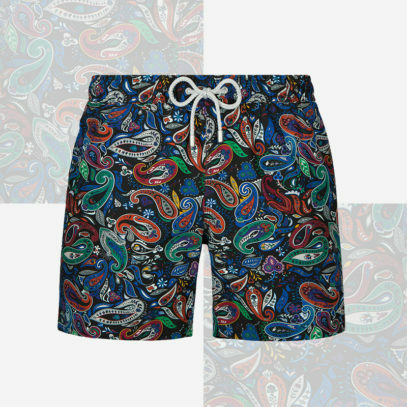 From their paisley-inspired Arthus Mipa shorts, through alternative ‘Navy Monster’ print, to the all-out landscape print of the Bond Saint Tropez shorts, trunks are the foundation of your summer style; so lay them well. There’s obviously a limit to how loud your trunks can be. We’re all for a bright pattern, or something that makes you stand out from the surf, but go too garish and you’ll put off the paddleboarders. Instead, the place to go all-out is with your shirt. "Go too garish and you’ll put off the paddleboarders..."
It makes sense. You’ll spend most of your time without it on, and then make an impression when you do shrug it back on. 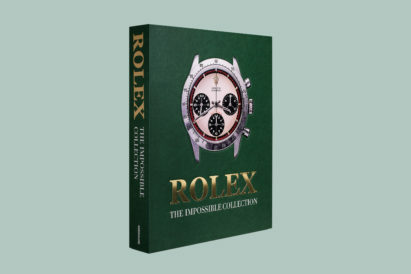 As such, choose something loud, preferably in a block colour and that you would definitely not wear on a normal day. This is your summer getaway, after all — a chance to experiment with style. 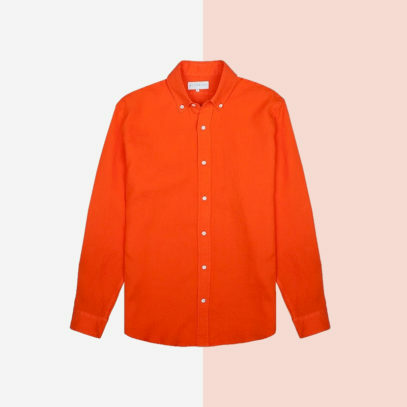 We’re leaning towards this light linen long-sleeved number in a violently vivid orange. 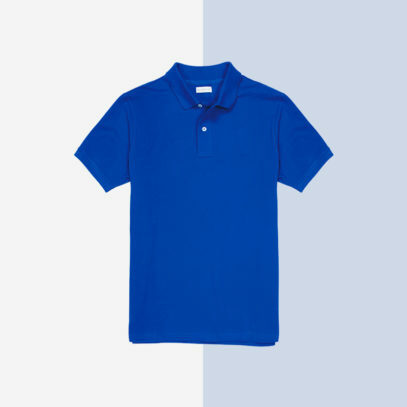 Or, for a polo, this pique cotton in dazzling blue. 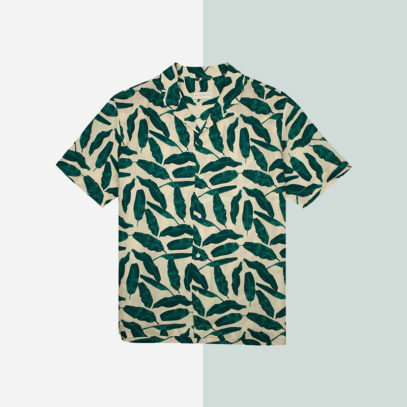 For a more classic printed pattern, Bluemint’s Mars Printed shirt, with a floral pattern ticks all the boxes. It’s fun, fresh and definitely not city-appropriate. 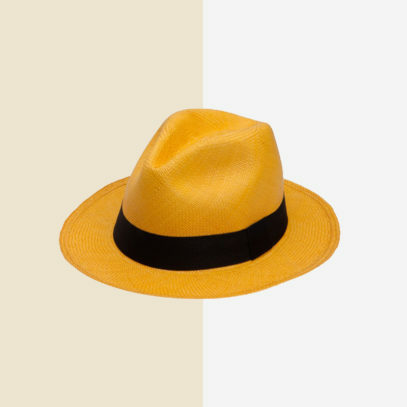 Just a few years ago, the thought of someone under 60 years old — or outside of Southport or Margate — wearing a Panama hat was unthinkable. 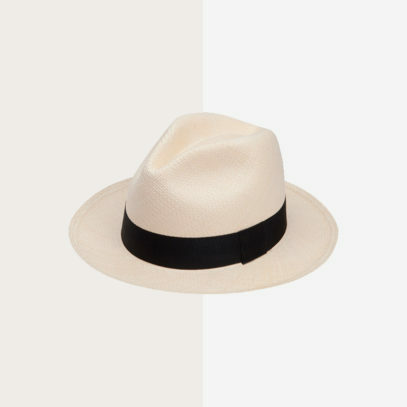 But, like all fashions, this wide-brimmed style has cycled back around and is perched on top of the pile and on top of our heads as the must-have headgear for summer. 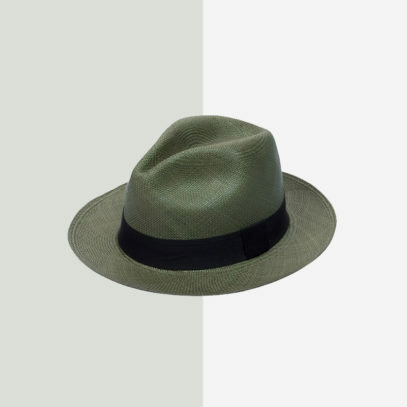 Bluemint have put their own unique spin on the classic, and while they offer the style in conventional colours such as white and sand, they are also selling Panama hats in bright yellow, dusky green or electric blue. 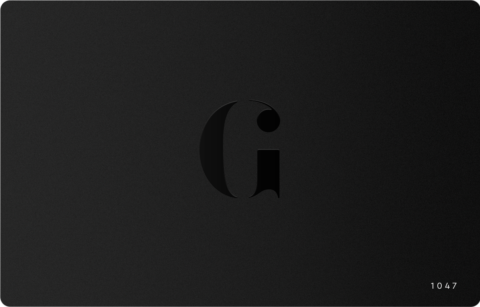 It’s a style that’ll inevitably turn heads — and one we couldn’t recommend enough. Can’t take the heat when you’re back in the city? 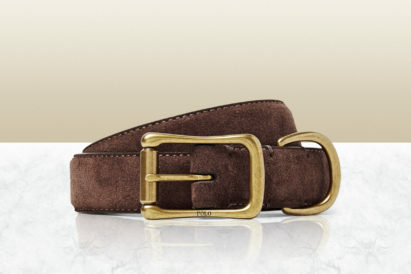 Here are 5 simple style changes that will save you this summer..